We’re looking to update our Fanfic primer, the essential Office fanfictions for any new Office Flan! Nominate your must-reads here! A great list for sure but almost all of these were written in 2006 and there really hasn’t been an update since. 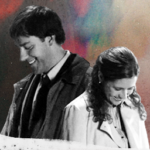 There was a poll on the old forums in 2008 to add some to this list and to add a Non-Jim&Pam Fanfic Primer but it doesn’t look like the process to actually make the new Primer was complete, so we want your help in getting the primer more up to date! Suggest “Truly, Madly, Deeply” by time4moxie.